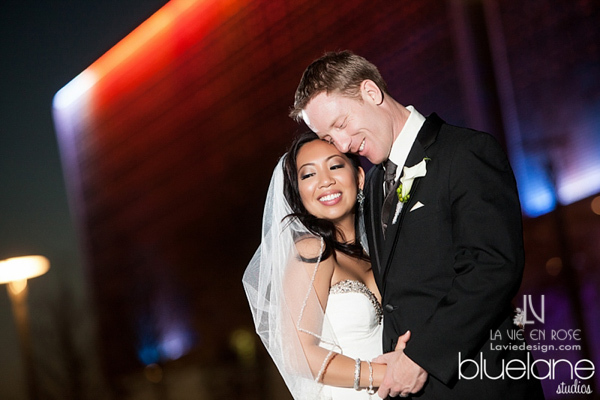 Please join us in celebrating this gorgeous wedding and reception at The Tampa Museum of Art, for Anne May and Ned! 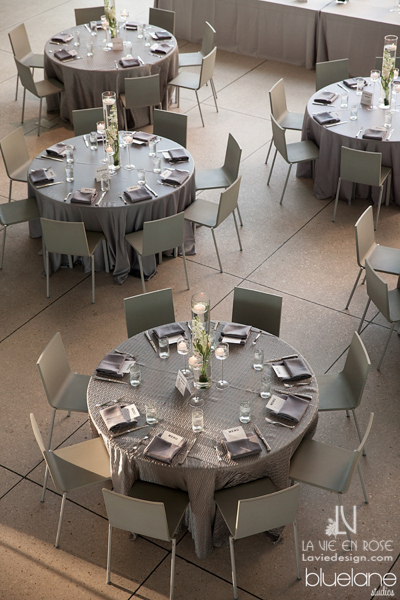 This couple chose simple elegance as their inspiration, and the whole affair could not have turned out better. 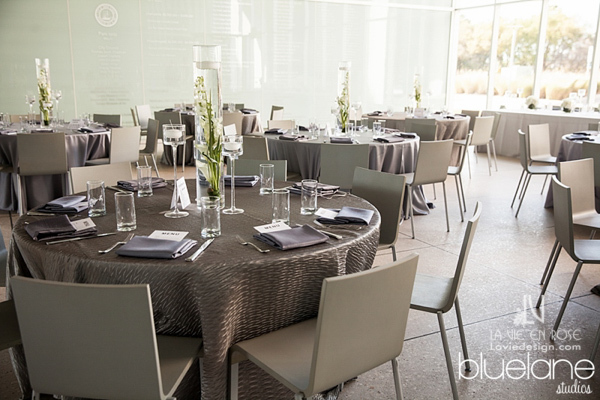 With clear blue skies on this March afternoon, the weather was just perfect for an outdoor ceremony and indoor reception as the sun began to go down. Hydrangeas, white calla lilies and ivory roses dominated the flower displays, with just a hint of deep green in the floating candle vases. Mise en Place provided all the wonderful food! 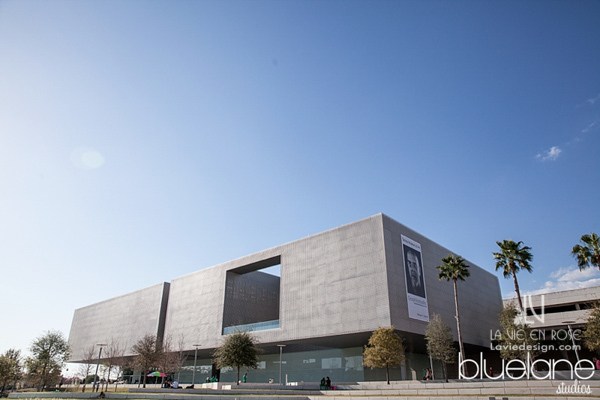 Special thanks to Blue Lane Studios for these crisp and inviting images. These vase arrangements of hydrangea and roses stood tall over the bride and groom as they said their vows. 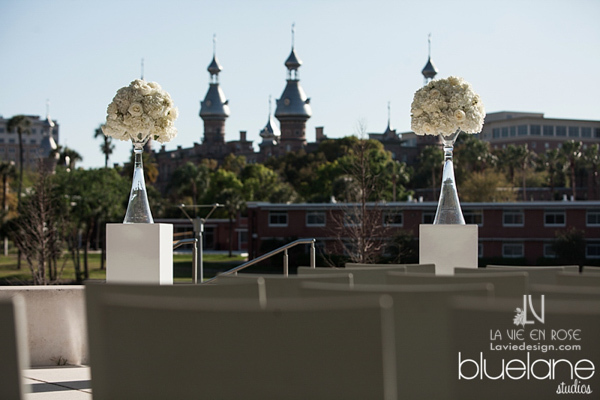 The University of Tampa minarets are the perfect backdrop! 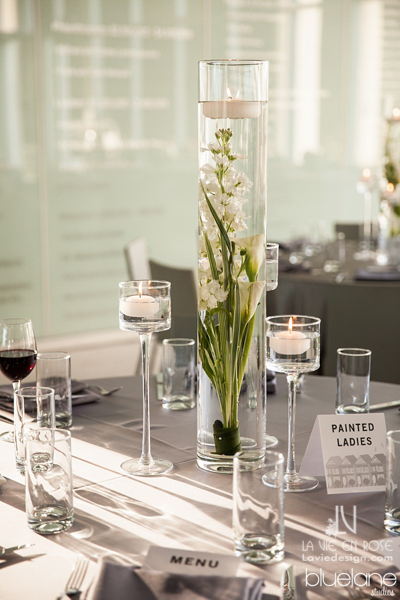 A bouquet of all white calla lilies was the perfect choice for this elegant yet modern bride. 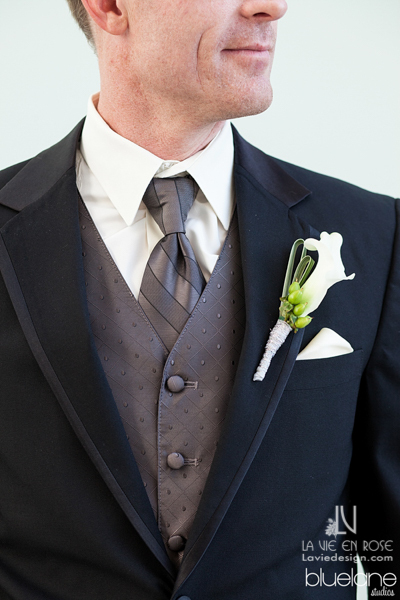 Her groom had to match, so a single calla with hypericum was the grouping of choice. 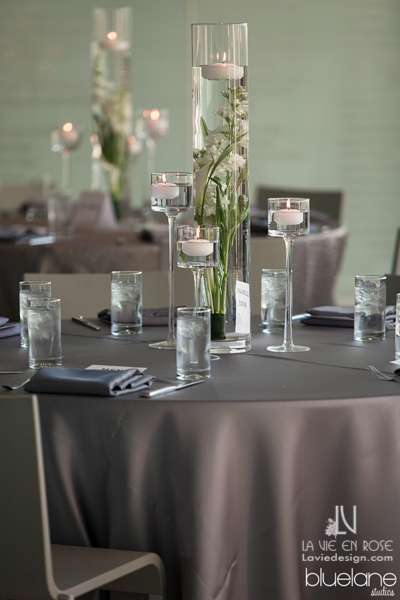 The centerpieces are very simple, as you can see, but the impact was enough to fill the room! The light in the reception room right before the ceremony. How perfect! Our floating candles always add romance to any centerpiece, setting the mood as the bride and groom prepare to greet their guests! White stock, calla lilies and bear grass float underneath the flame as the last bit of sunlight filters into the room. 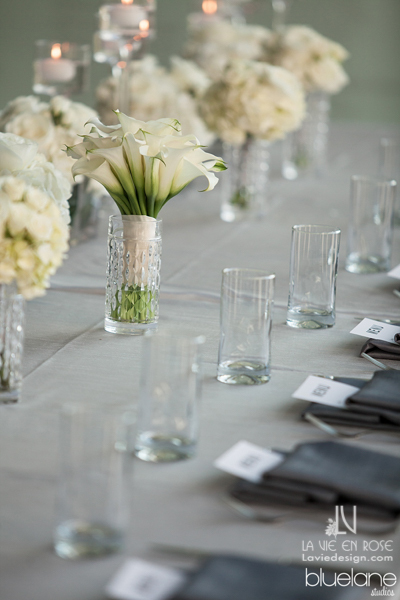 The crystal vase for the bride’s bouquet blends well, and becomes part of the centerpiece. 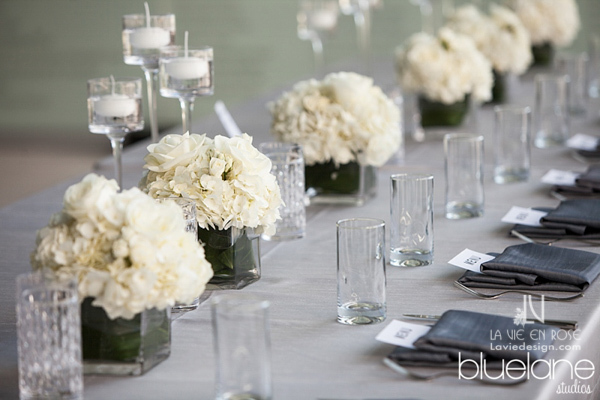 The bridal party table, again is simple, but it says so much more. With over 6 soft arrangements of hydrangea and ivory roses, the wedding party were still able to view all the gorgeous flowers around the room. 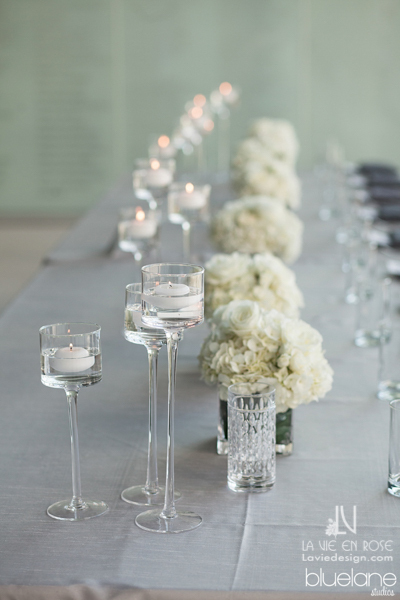 It should never be underestimated what floating candles in tall stemware can do for a room! 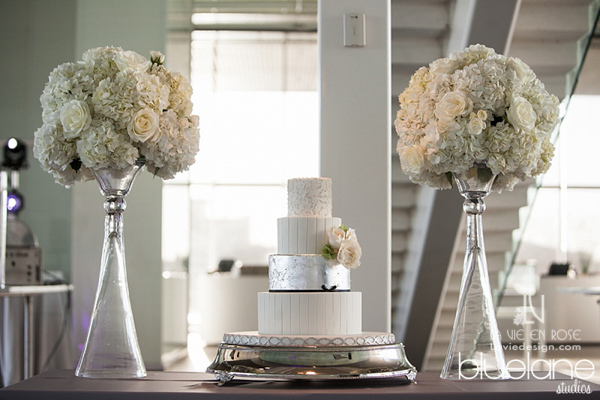 The flowers from the ceremony were brought in to add to the excitement of the wedding cake festivities! And so they danced and lived happily ever after!